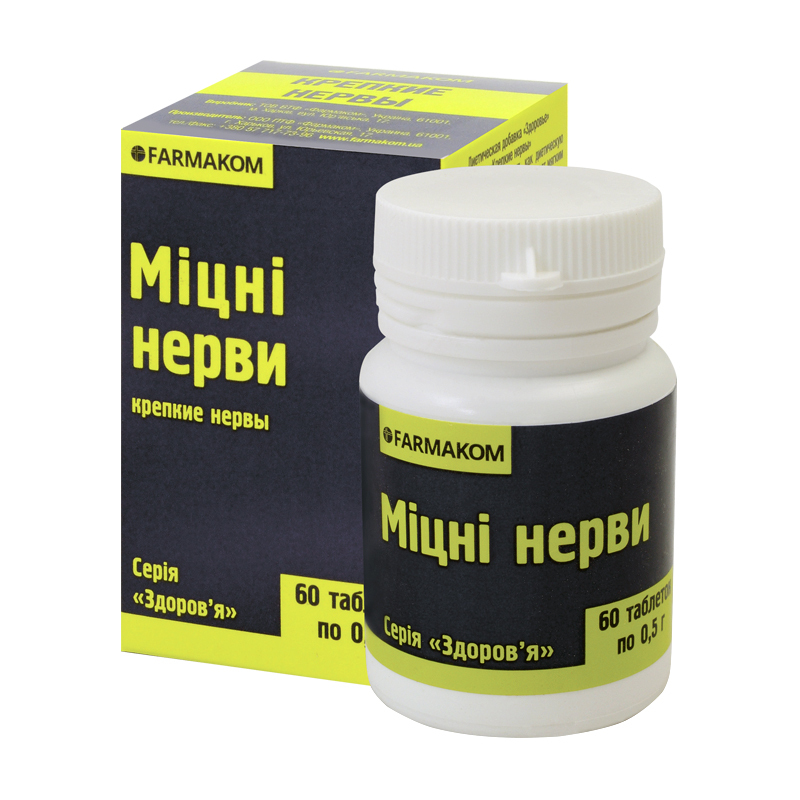 It is recommended as a dietary supplement with mild calming effect. Mint, Melissa, valerian root, St. John’s Wort, vitamin mixture, brewer’s yeast autolysate, ascorbic acid, iron sulfate, zinc oxide, magnesium oxide. Valerian, Melissa, mint have expressed sedative effect. Brewer’s yeast autolysate is the source of energy for the body; it promotes mental and physical capacity, immune system boosting; B-complex vitamins provide for optimal nervous system functioning. Magnesium, zinc, iron and calcium are involved in numerous complex biochemical processes, taking place in our body. Adult stake 1 tablet / capsule twice a day with food, wash down with water. Term of use – 1 month, repeat 2-3 times a year. Individual sensitivity to certain components, pediatric age, pregnancy and lactation. Proteins – 1.2 g, carbohydrates – 16 g, fats – 0.23 g.